Are you a beginner in reading Tarot? Well, we hope this topic we’ve chosen will be a good guide for you. Are you curious? Actually today, we want to introduce a popular and common Tarot spread used by lots of people. No, it’s not the Celtic Cross Spread, guys! 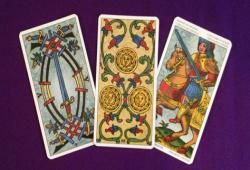 In fact, you will get a clear look at the 3 Card Tarot Spread and its meaning. Not showing many facets like the 10 Card spread; however, this simple one can give the seekers the definite background of the future in case they don’t want to know more details of their life. How to Do the 3 Card Spread? This layout is extremely easy and simple to perform. According to the professional psychics, this 3 Card draw is good for the Tarot reading beginners as they can practice and read for themselves and others every day. Now, start to perform the spread! 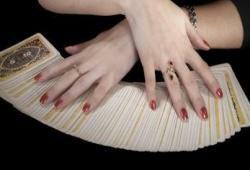 You will shuffle and cut the Tarot cards, and then, spread them out on the table. Choose 3 random cards and place them in 3 different positions from left to right. Each of them will represent your past, present, and future. The First Card – the Past (left): This card indicates the questioners’ past, and also, the events or the feelings that have happened and lead to the current circumstance. In this layout, the past is affected by the Hermit – the 9th card of the Major Arcana. With this card, the psychic can get wisdom from the spiritual world (or even the Divinity). By looking at the past, you will know which goals you did achieve and which one not. Even though the journey can be hard, you must fight through lots of hardships to receive good results. The Second Card – the Present (center): This center card can tell you many important things i.e. how others view the situation, external influences, hidden obstacles, etc. In this layout, the readers will tell you some significant things you haven’t finished yet in the past, and now, in the present, you must spend a bit of time fixing them all smoothly and efficiently. The Third Card – the Future (right): The last card will give you a clear look about the outcome. It can be a quick resolution or a long-tern goal, based on different situations the seekers are facing. In fact, most of the psychics think of this card as the new beginning as it indicates your dream, joy, and happiness.